Thymes Fragrance Company is committed to artisan craftsmanship and dedicated to deepening connections through their love of fragrance — and, most of all, to creating fragrances that enrich the quality of your daily experience. Partnering with photographer Lauren Krysti, we concepted, styled and animated images to be used to promote favorite holiday scents and to introduce new collections and fragrances. Using simple motion and playful integration of images through social media channels, we built content that was engaging and inspiring for fans and retailers throughout the 2017 holiday season. Leading into the holiday season, the fall-inspired Simmered Cider collection was complimented by sweet moments settling in & celebrating with friends (especially the furry ones) and family. We used tiny helping hands to bring the nostalgic sense of holiday baking to reflect the sweet smell of Thymes' Gingerbread collection. 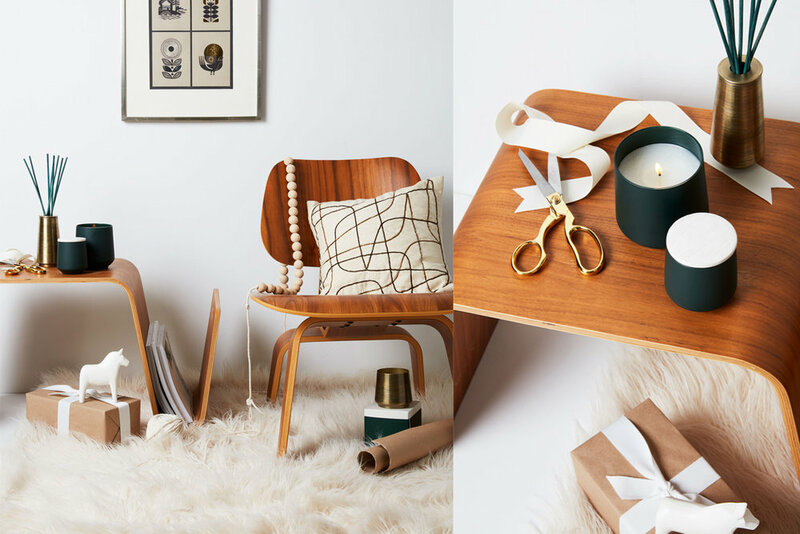 To showcase the new design collections for Thymes' iconic Frasier Fir candles, we created 5 sets to reflect the unique style and personality of each. For Thymes new Hot Cocoacollection, the mug style vessels inspired us to conjure up those memorable winter moments spent snuggled up, crafting & connecting. 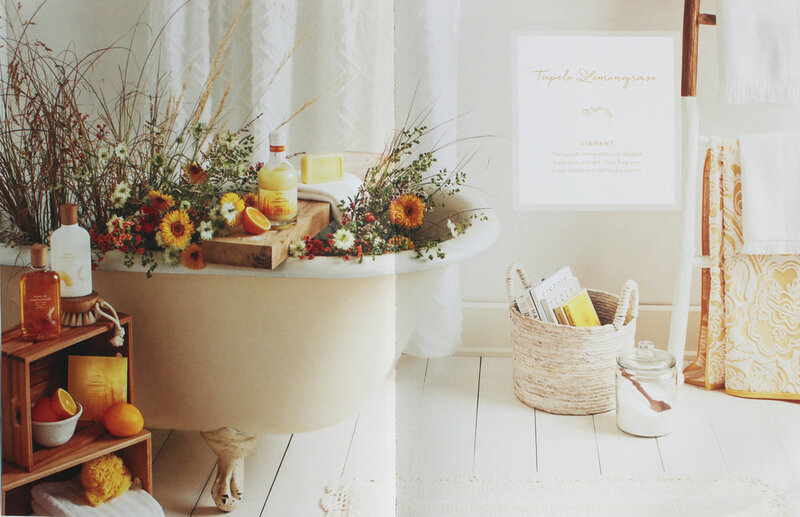 In collaboration with the internal creative team at Thymes, we collaborated with floral designer Ashley Fox and photographer Lauren Krysti to bring their concept for the 2018 Bath and Body catalog to life. The team's concept to infuse each fragrance's natural ingredients and notes throughout the home was created through floral and botanical installation sculptures. We provided the set and prop design along with on-location styling to highlight each fragrance's unique personality.